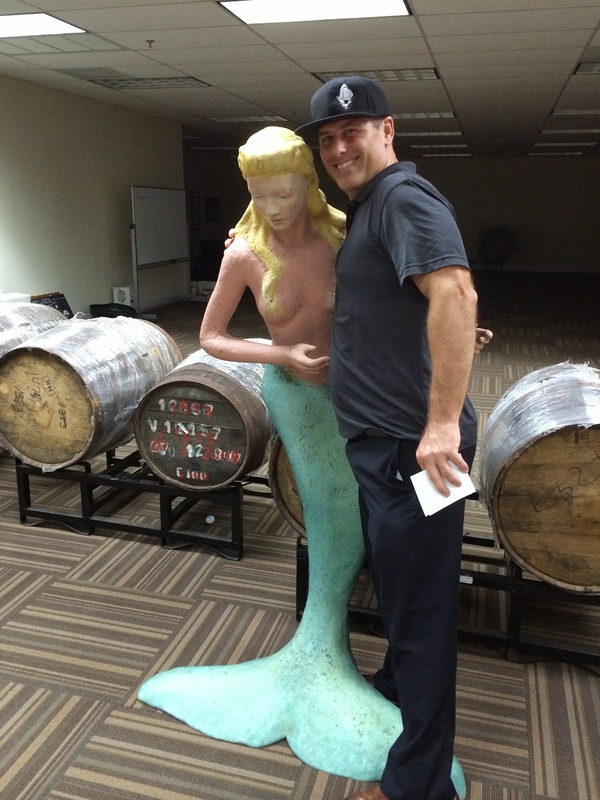 Yesterday evening I got to visit Biscayne Bay Brewing Company. Along with Gold Coast Distributors, the brewery invited some people to check out their brewery, taste a few beers and chat a little about the brewery and their plans. 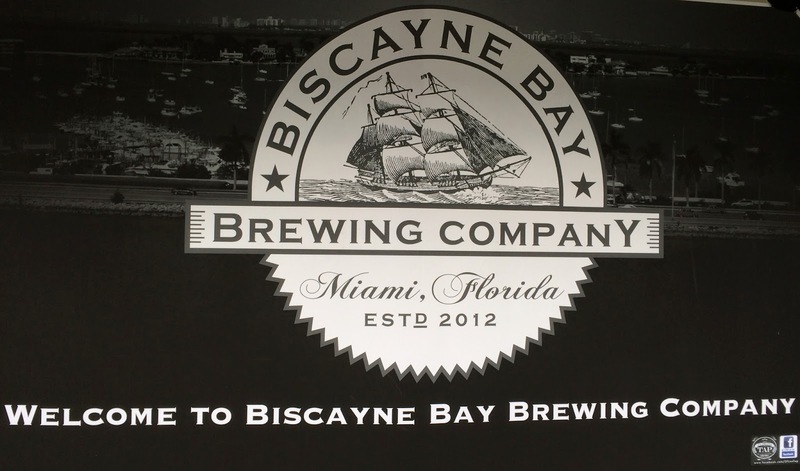 Biscayne Bay Brewing is located over near Miami Airport in an area that my wife calls "her territory," full of her freight-forwarder customers. But I wasn't with her--Ed Roberts and I were there for the launch. We got to taste three different beers: Miami Pale Ale, Biscayne Bay Saison, and 1513-MDXIII Golden Ale. The saison was my favorite and really good, rich and full of fruit flavors with an alcoholic streak through it--I had thirds if I recall correctly. Ed and I learned that this isn't a regular beer for the brewery, but rather the first "wild card" they brewed. The next wild card is already being brewed, Double Nine Imperial IPA. Saison, however, was received so well at a Key West beer festival recently that we were told it would surely make a return. The other two we tried will always be available, along with La Colada Coffee Porter and maybe one or two more for now. Biscayne Bay Brewing has a lot of space and it's a nice touch that it's completely air conditioned, even in the brewing areas. We were told about the plans for a tasting room and moving some of the offices around to maximize the area. 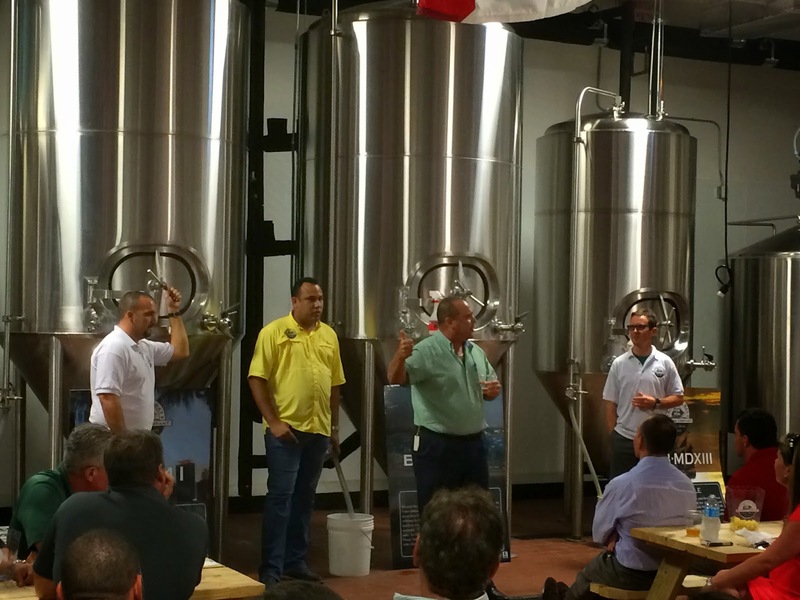 You should start seeing beers around Miami shortly, with Broward and Palm Beach to follow. 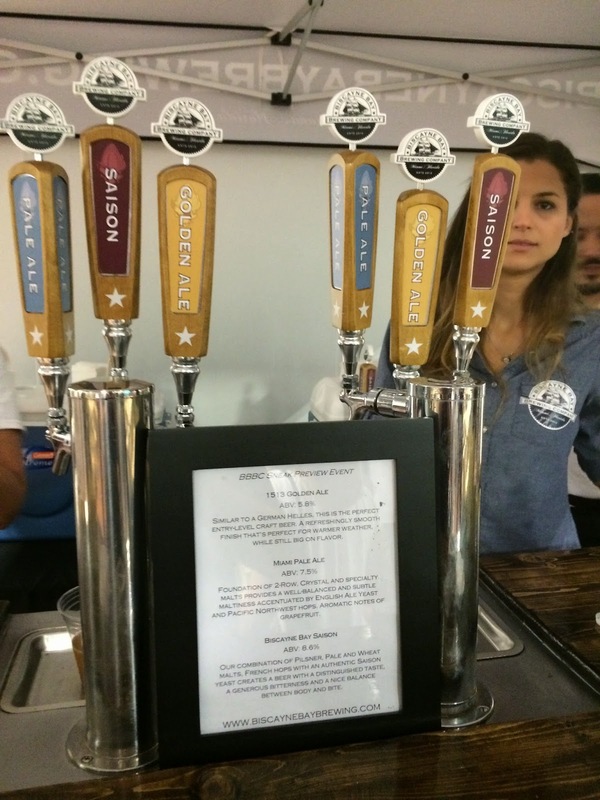 You can check out the same three beers I tasted last night tomorrow on Biscayne Bay's Tap Tour. They will be making three stops to kick-start what is sure to be a successful brewing venture. I made a friend on the way out too (you can see her below). 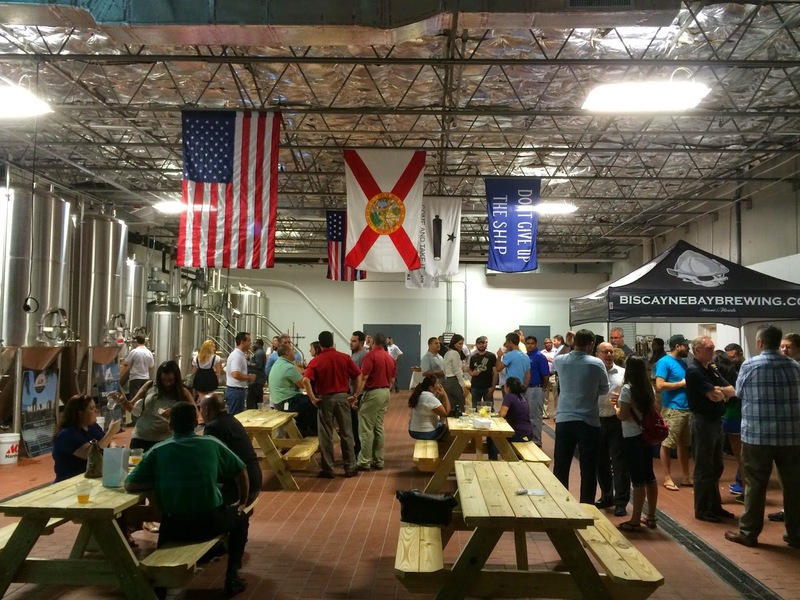 Best of luck, Biscayne Bay Brewing!